Professional Yachtmaster Training is the exclusive provider of IYT Megayacht training in Florida. 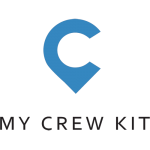 They are a popular option for crew to complete their yachtmaster course in Fort Lauderdale. The schools offers a high standard of training for both interior and exterior crew. The training courses can be found on the list below. Professional Yachtmaster Training USA is a division of PYT who also have training school courses and facilities in Durban South Africa. Make sure your information is up to date. Add images, contact details and other useful information.